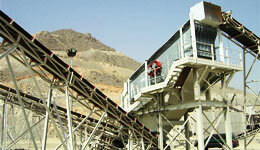 Vibrating screens are widely used for grading and screening materials in limestone quarry, beneficiation, processing, transportation, mining industry and so on. 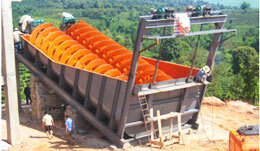 Limestone vibrating screens are efficient screening machines for the classification of bulk material such as limestone crushing or grinding plant, of which the heavy duty type of vibrating screens are for the classification of large size materials, while the light duty type of vibrating screens are for the middle and small size materials. 1. Before starting, we should inspect every fasteners bolt of vibrating screen whether to become less crowded, if it has, we should fasten it one time. 2. After the sieve machine has empty motion for 4-6 hours, the sieve body should be steady. No sway and unusual sound and driver bearing temperature ≤ 7512. 3. 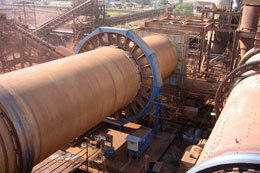 After idle operation movement, we should examine every spots spiral of vibrating screen fastens one time. 4. In normal work, it should have periodic inspection of every fasteners bolt tight situation. 6. Before parking, you should stop giving the material first and waiting for the screening surface material to walk. 7. When the vibrating screen working, you should observed the sieve machine operational aspect continuously, if there are not normal movements or unusual sound about the vibrating screen, should shutdown the machine and check, discover the reason then remove difficulty.